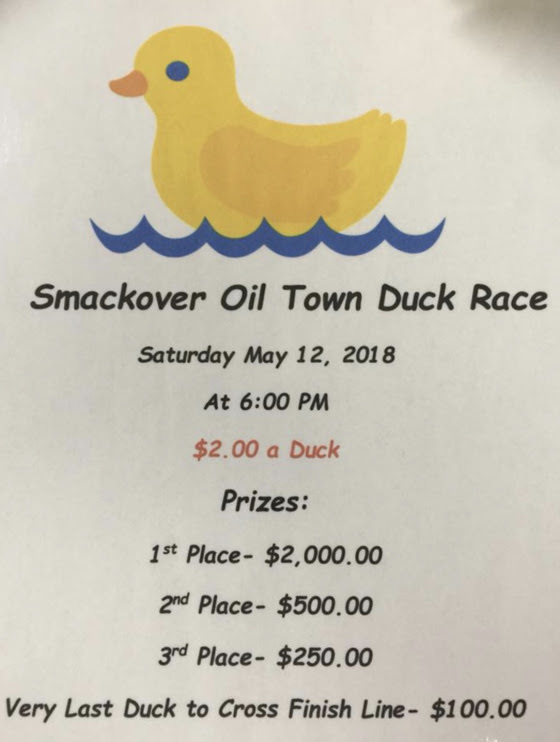 Buy your duck for the Oil Town Duck Race in the Smackover High School Office. Ducks are $2.00 each, and the first place duck wins $2000! Any questions, please contact the Smackover Chamber of Commerce office.